MOROTAI. 27 MAY 1945. 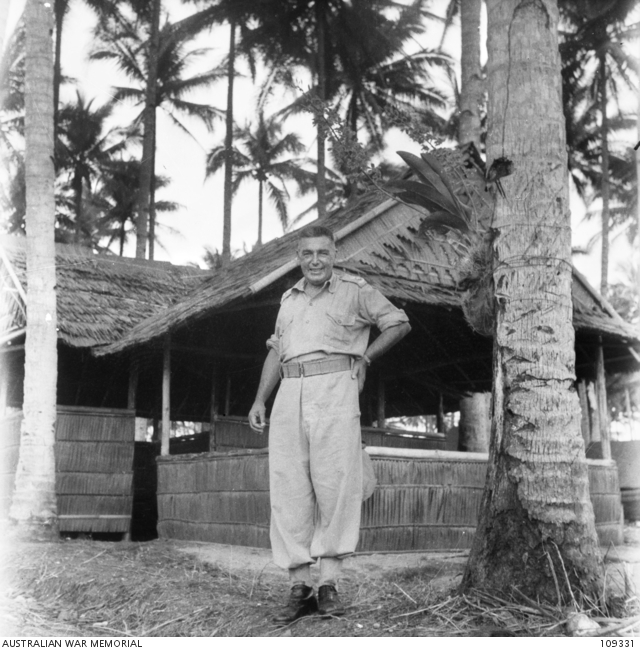 LIEUTENANT COLONEL J B MCELHONE, COMMANDING OFFICER 113 CONVALESCENT DEPOT, OUTSIDE HIS HUT.